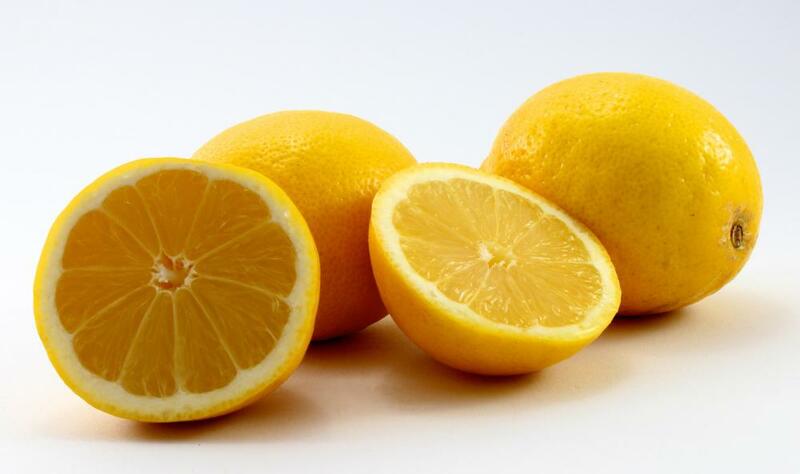 Lemons, which are often served with abalone. 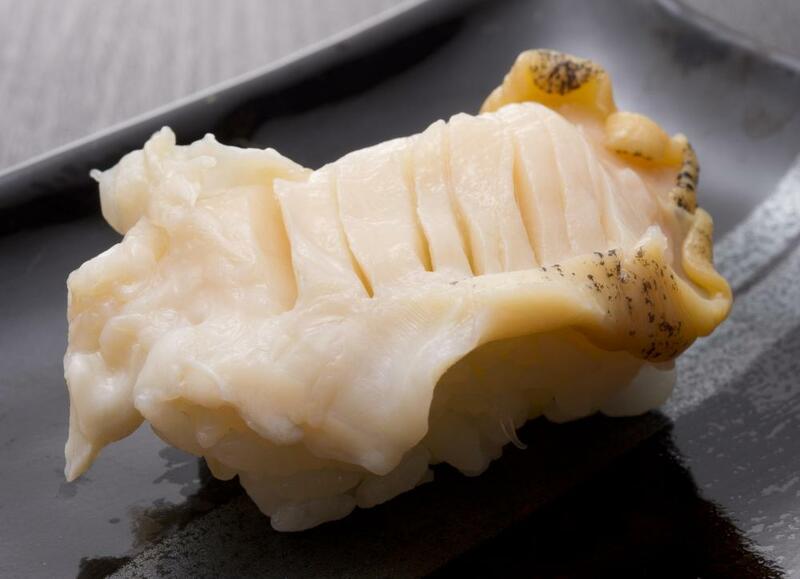 The abalone is a gastropod found in most of the oceans in the world and prized as a culinary treat among the Japanese and residents of the West Coast of the United States, among others. 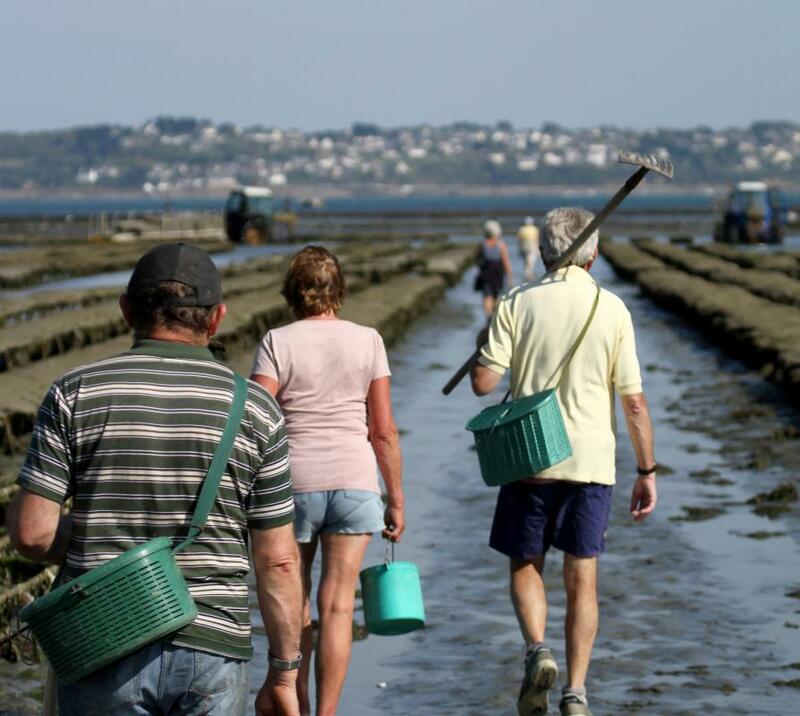 Due to concerns about over harvesting, many nations have limits on how many may be taken, and some entrepreneurs have opened abalone farms so that they can be harvested and sold legally. Like other edible gastropods, the part that is eaten is the large muscular foot, which forms the majority of the body. An abalone is a univalve, meaning that it has one shell, rather than two symmetrical shells, like with clams and oysters. The shell is a slightly flatted whorl, resembling an ear, with a slightly elevated apex at the center of the spiral. Along one edge of the shell, there are small holes to support respiration, and the creature lurks inside the shell, clinging to rocks with its foot while it searches for algae and other food sources. If the abalone can be prised from a rock, the entire underside of the foot is exposed. 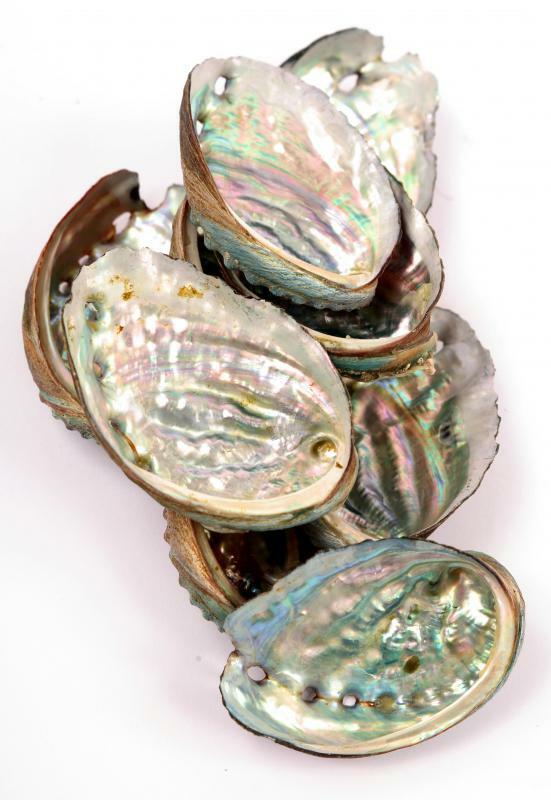 The inside of a shell resembles mother of pearl, and is frequently used ornamentally in jewelry and inlay, while the outside of the shell is reddish brown in color. Most host seaweeds and smaller mollusks on their shells for camouflage. Abalone reproduce by releasing eggs or sperm into open water. Usually, large groups gather in a single location to do this, increasing the change of fertilization. The fertilized eggs form larva called veligers, which drift in the ocean for approximately two weeks until they develop into baby abalone and seek out rocks to make their homes on. If allowed to grow to maturity, they can get quite large, and will develop interesting occlusions in their shells as a result of encounters with rocks and other organisms. In many regions, there is a size limit on abalone to prevent the harvest of juvenile specimens. The size limit varies depending on local regulations, and many areas also have an overall capture limit which a fisherman cannot exceed in a season. Farmed abalone are not subject to these regulations. In any case, once one has been pried from a rock, it itself must be removed from the shell and trimmed, leaving the edible foot behind. Because the foot is a muscle, it needs to be tenderized before being eaten. Most cooks tenderize the foot whole by pounding it with mallets before slicing it thin and pounding it again. A classic method of preparation involves breading and frying, but some adventurous cooks add it to pasta sauces or make sushi with the rich white flesh. Breaded and fried abalone is delicious hot or cold served with a wedge of lemon, and is a popular food in California in particular. What Is a Clam Pearl? Years ago when I was in a car accident in California, I had many cuts on my face. Someone told me to get a natural abalone shell (unpolished), put something inside the shell and it would make a cream that would minimize the scarring and decolor them. Well, I did it, the shell made the cream and it worked wonders. Problem is, I can't remember what it was I put in the shell to have it make a cream. Does anybody know what it could have been? Abalone jewelry is so beautiful. I have a bracelet made of abalone stones and I love the colors in them. They look so gorgeous in light. I also like the fact that it's not expensive. 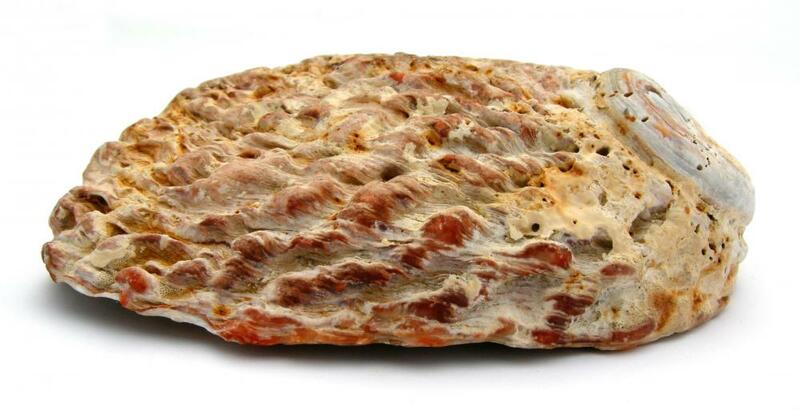 It looks like an expensive stone for those who don't know what it is but it's very affordable. @fBoyle-- I had abalone once and that was in Japan. It tasted really good, but then again, it was cooked with a lot of butter. And we all know butter makes everything taste good. I haven't had the opportunity to try abalone again. I should look out for it when I travel to the coast. What does abalone taste like? Does it taste like mussels? I think it would be fun to go abalone rock picking! I've heard that there are a lot of rules you have to follow, but imagine being able to take home such a nice chunk of seafood and cook it that night! "Abalone" has a shady etymology, being transmitted to English via Spanish from an old Native American language of coastal California. The problem of seastorms and weather will be a constant issue in this kind of a world. The Pacific will probably provide the most secure area for sea cultivation of important crops like the abalone. Also, the diet changes would probably affect the world in unforeseen ways. Seafood is among the healthiest and most delicious food the world has to offer. We have a vast store of flora and fauna wealth beneath the ocean, and it is likely that as humans continue to grow in population we will grow in our farming and cultivation of the oceans.